Additional Insured: A person or organization not automatically included as an insured under a policy, and is added by endorsement to the policy at the request of the first named insured. 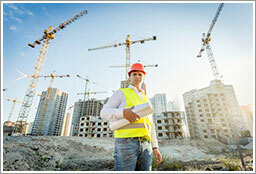 The person or organization then becomes an insured for a specific project, product or premises. Primary and Non-contributory: Primary is a term used to determine whose policy is going to pay first; non-contributory is a term used to indicate that the primary policy will not seek contribution from the other policy until the full claim is paid or the policy is exhausted. Waiver of Subrogation: The insurance carrier has the right to recover its claim payments from those who were responsible for the loss. By endorsing its policy with a waiver of subrogation, the carrier is stopped from pursuing this recovery. Ongoing Operations: Work or other business activity that is in process and has not yet been completed or abandoned. Completed Operations: Work of the insured that has been completed under a contract or work order, or has been put to its intended use. Indemnify: To make compensation to an entity, person or organization for injury, loss or damage; to make the other party “whole”. Hold Harmless Agreement: A provision in a contract that requires one contracting party to respond to certain legal liabilities of the other party. Typically, hold harmless agreements will be “basic”(or “limited"), “intermediate” or “broad”. Indemnitor: The party agreeing to indemnify and hold the other party (indemnitee) harmless. Per-Project Aggregate: Required by many project owners or general contractors, this is a standard endorsement to the general liability policy which allows a contractor to specify the application of a separate general aggregate limit to individual construction projects, subject to the usual maximum limit the policy will pay per policy term. Alternate Employer Endorsement: Applicable when one employer lends, rents or leases an employee to another employer. This endorsement resembles an additional insured endorsement to the workers compensation policy and is attached to the regular (lending) employer’s policy. Click here to download a copy of this blog. R&R Insurance Services is pleased to provide this information to you as a guide. It is intentionally condensed. For a thorough explanation of these and other terms, and if applicable in your situation, please contact your Knowledge Broker.